Talk to the right people — from the agent on the phone to the desk agent and be polite. Be personable, pleasant or share information or even a nightmare experience which may get you a sympathetic upgrade. Several airlines offer upgrades for a small fee. You can pay a little extra the day of the flight and work out a deal the agent at the gate. Secret Codes — Most airlines have economy fare codes that are automatically upgradeable — but there are a few catches. First, these codes are for fully refundable coach fares (look for Y or M class) and the automatic upgrades all depend on what seating is available in first class when the ticket is purchased. In addition, these fares are generally not offered on direct flights, and are best booked directly through an agent or the airline — not online. Family and Friends — Almost anyone who works for particular airline, a supplier or a contractor may have access to upgrades and/or the right people to get you bumped into first. The key here is having a solid connection with someone — not just a casual relationship — and asking well in advance of your departure. Book the Package — Check vacation package pricing; many airlines now offer first-class fares as part of the packages, and the savings can be considerable. If you only need or want the flight and not the rental car or hotel part of the package, then don’t use the other package amenities. There are no penalties for being a no-show since the vendors are paid no matter what. Make an Impression — Manners matter and dressing nicely can get you in first class. Your appearance and behavior at the gate can make all the difference when it comes to calling a name on the upgrade list; obnoxious and pushy almost always loses out to polite and patient. Rude passengers will not curry favors with airlines staff. Be Significant — Are you in charge of booking your company’s upcoming trips? Or maybe you’re the assistant to a VIP-decision maker in charge of travel, or you’ve got a cast on your leg from a ski accident. Then be sure to mention your special stature to your travel agent when booking, and – if appropriate — ask them to add an OSI note to your reservation. That’s a way the agent can get a message to the airline that you’re either important, in need of some special help, or have a circumstance that’s notable – and might just get you bumped to first. Get Some Credit — Linking your airline frequent flier number to hotel, car rental and other travel loyalty programs is a fast way to earn mileage — which can then be used for upgrades and other travel perks. Also do some research on the credit cards offered through carriers for bonus mileage opportunities; while we are not encouraging you to go into debt, this is an excellent way to earn points for everyday purchases like business expenses that your company reimburses you for. 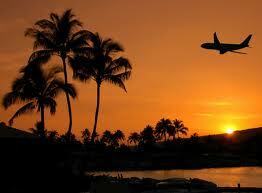 Company Travel — As a passenger on business you are still eligible to take advantage of frequent flier programs. So, be sure to ask that your number is included on every flight. You’ll soon find yourself in mile-high territory, mileage-wise, and that’s when the upgrades come automatically. Sign up for newsletters and e-mail alerts from airlines that serve the routes you’re shopping for, and from sites like AirfareWatchdog, JohnnyJet, Farecast and others, including FareCompare, Kayak, Orbitz and Travelocity. Many airlines post their best fares only on their own Web sites, including Southwest, Allegiant Air, SAS, Aloha, Aer Lingus, Qantas, Alaska, Air New Zealand and JetBlue.